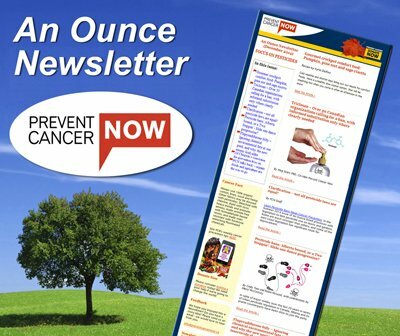 Prevent Cancer Now » New Mobile Phone App – Prevent Cancer: 365 Daily Tips – Launched Sept 2013! Did you know that studies show that up to 95% of cancer can be avoided by changing your diet, your lifestyle, and reducing your exposure to environmental toxins? It’s true! Find out how to reduce your risk by downloading the new Prevent Cancer: 365 Daily Tips app. Just click one of the following – iPhone, iPad, or Android – for a wealth of life saving information, all for just 99¢. Your purchase will support cancer prevention, as the proceeds are being donated to Prevent Cancer Now whose mission is to prevent the avoidable causes of cancer. You can feel confident that the app’s tips are scientifically based – I thank Dr. Meg Sears, PhD, and Sandra Madray, BSc, for ensuring the accuracy of the research. They are both fellow Prevent Cancer Now board members. 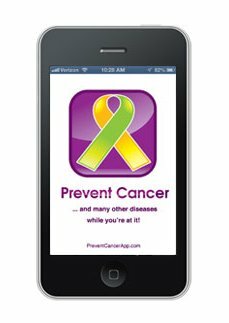 If you find this app helpful, could you promote cancer prevention by giving PC365 a stellar review on the Apple App Store or Google Play? We’d really appreciate that! And please spread the word – help your family and friends prevent cancer and other diseases too! if you avoid cellphone radiation and “do it with wires” you can still get PC:365 on you computer, using BlueStacks.